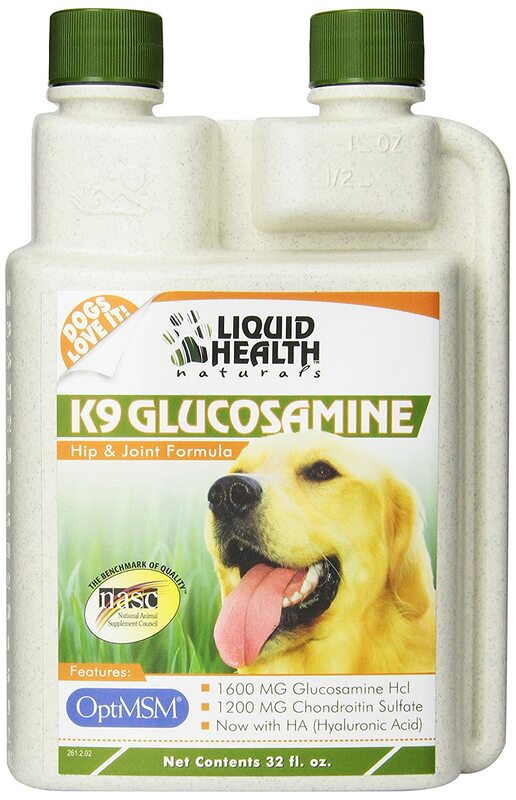 Liquid health k-9 glucosamine/chond and msm, 32-ounce unit contains essential nutrients that have been shown in clinical studies to prevent and dramatically improve the condition of animals suffering from joint ailments. For younger dogs, Glucosamine and Chondroitin aid in the prevention of arthritis while MSM promotes general good health. Supplements in a liquid form are shown to absorb more quickly & efficiently than tablets, offering faster results.